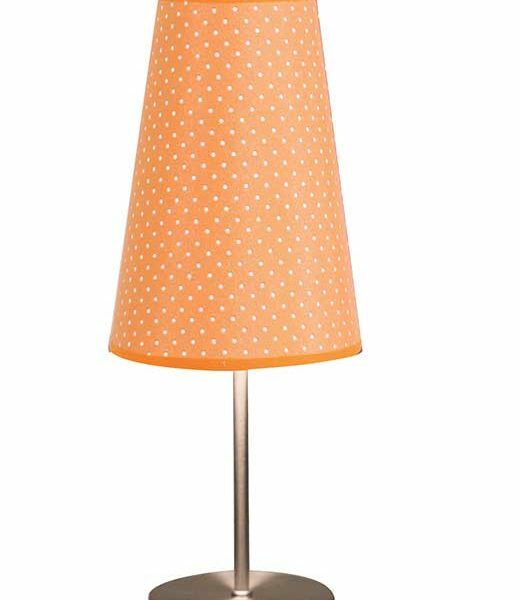 Dot Table Lamp Product Size: 6” Diameter x 15.25” H (in.) Product Weight: 1 lbs. 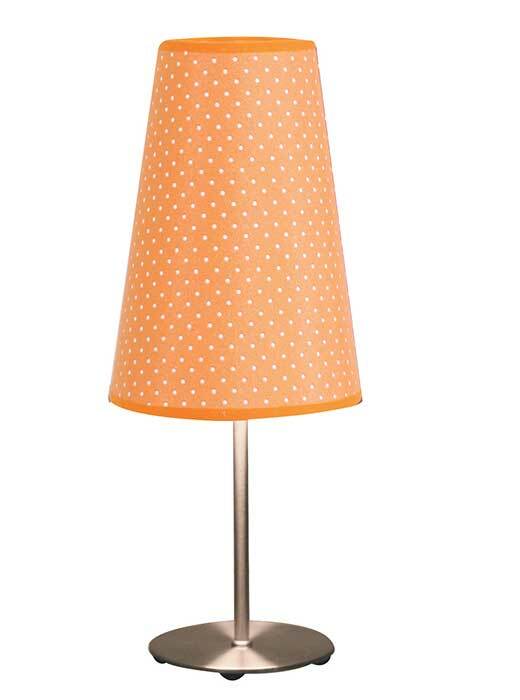 Dot Table Lamp Product Size: 6” Diameter x 15.25” H (in.) Product Weight: 1 lbs. More Information Intricate design and fine detail really make this lamp one of a kind. Small dots decorate the shade and create an intricate pattern. The punched shade allows for a beautiful aura of light that shines through. Brushed chrome base. Available in Light Pink, Light Blue, Black, Orange, Red, and Green.